Rough draft plans for a mid-October road trip were on the table. Chicago, Door County Wisconsin, and Mackinac Island Michigan were the top contenders. I was Google-ing our options when I saw the “Civil War to Civil Rights” tour offered by the Chicago Architecture Foundation. At Oak Woods Cemetery. A place I’ve longed to see. 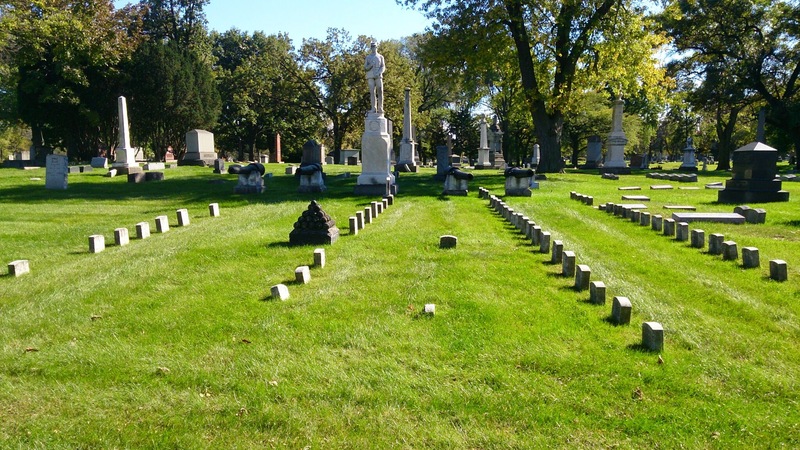 The Englewood cemetery in which 17 leaves on my family tree are buried. The weather on the 11th was perfect, sunny and warm. We reached Oak Woods hours before the tour was to begin. Most of my ancestors’ final resting places were clearly labeled on a map I’d gotten from the cemetery office weeks before. There were a few unknowns, so our first stop was the office. The woman who looked up the information we needed was super nice and very helpful. Armed with everything we thought we needed, we set out in search of headstones. Oak Woods is enormous! It’s 183 acres of rolling hills and ponds and meandering lanes. 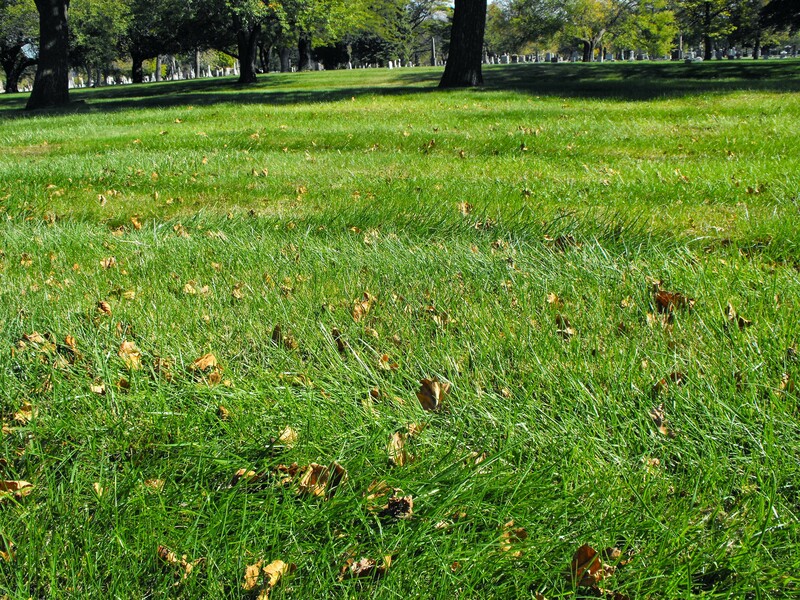 Most of the burial plots are not in straight symmetrical rows, they are in winding crisscrossing curves. After searching for the first few names in vain, we returned to the office for detailed maps of the sections we needed. But even with additional information, it was obvious this task was going to take longer than we had anticipated. We prioritized the list of 17 names, moving my direct line ancestors to the top. My paternal 2nd great-grandparents Jacob and Elise Mueller were first. I shared that experience here. My maternal 2nd great-grandfather Carl Tolf came next. The map directed us to Section F Division 3. Which looks like this. When I looked VERY closely, I was able to locate a few headstones. Which looked like this. I quickly accepted the fact that I was not going to locate Carl on this visit. Next on the list? 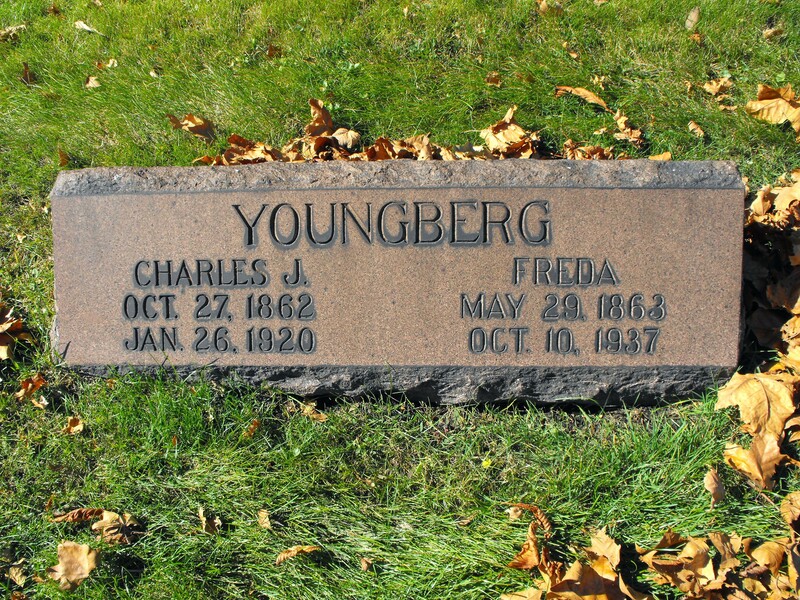 Carl Tolf’s daughter Freda married Charles Youngberg. 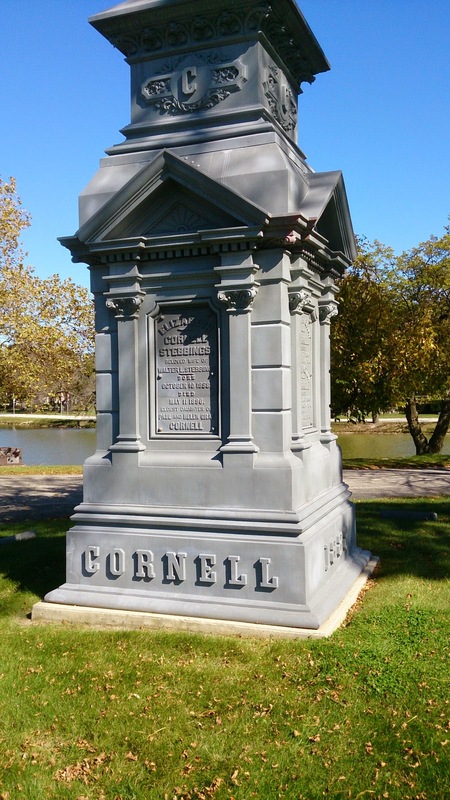 They were buried nearby in a neatly arranged section of the cemetery. We found them quickly, so I took pictures of the headstones in “their” row for Find A Grave. Then it was time to go. Our purchased-online tour tickets instructed us to meet at the Confederate Mound 20 minutes before the tour was to begin, so we drove around to that part of the cemetery. After a half hour we started wandering around since we were the only ones there. I ended up in the Jewish section – more on that later. Then my husband saw a group forming near the Confederate Mound. The tour ended near the front gate in the Union section of the cemetery. It was late afternoon and we’d only scratched the surface of what we had hoped to accomplish during our visit. 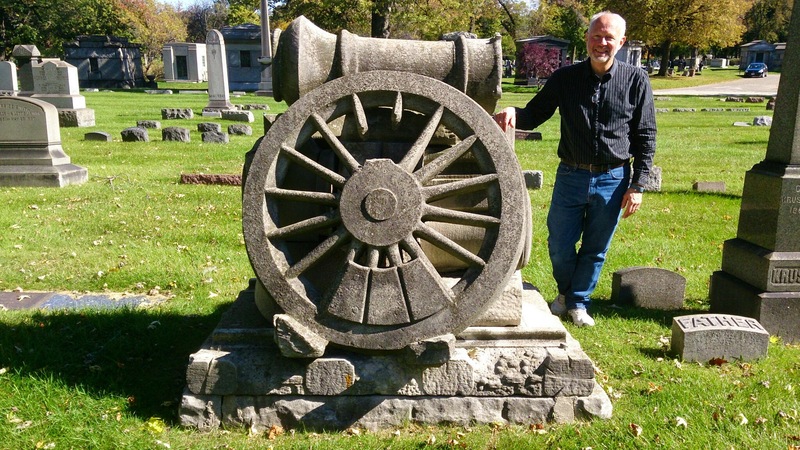 I’d found only a few on my list of ancestors and we had planned to take photos for Find A Grave. It sounds like we were disappointed, but it was just the opposite! The day really had been wonderful. The tour was educational and informative. My husband and I enjoyed it very much. I found Jacob and Elisabeth. Those were the most important names on my list. We had a long drive ahead of us. 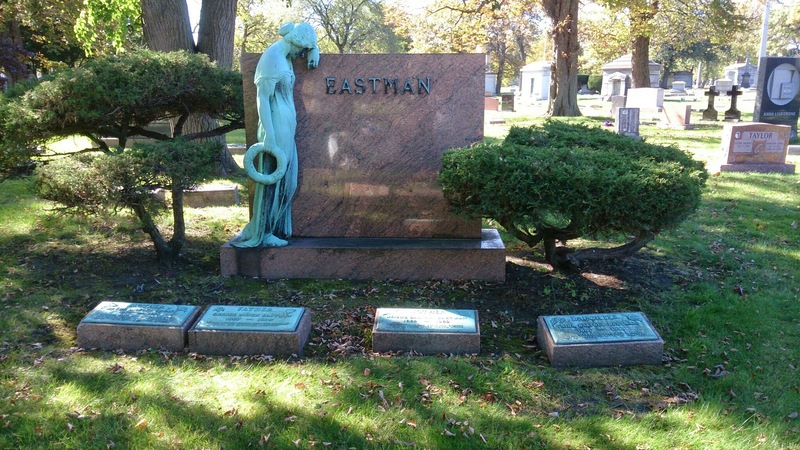 We’re already looking forward to our next visit to Chicago’s Oak Woods Cemetery. There is so much more to see. 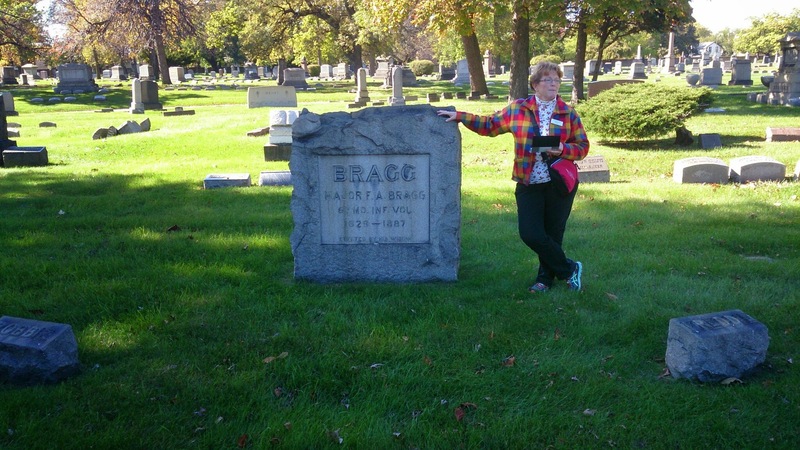 I went to Oak Woods to visit the final resting places of my great-grandfather Alfred Mueller and my great-great grandparents (Alfred’s parents) Jacob and Elise Mueller. But it’s impossible for me to visit a cemetery (especially one as under-photographed as Oak Woods!) 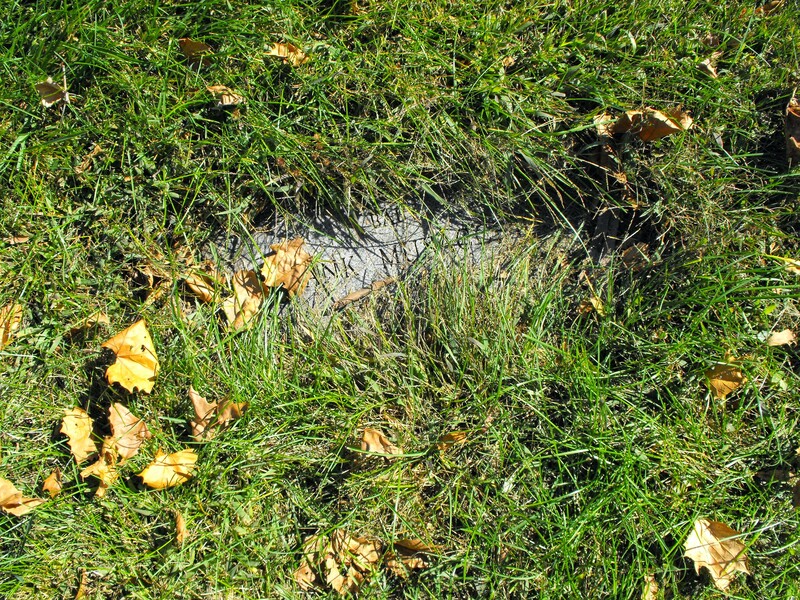 without taking headstone pictures to post on Find A Grave. Is that where you saw pictures of the Hieke memorials? My grandparents and aunt and uncle are buried there. 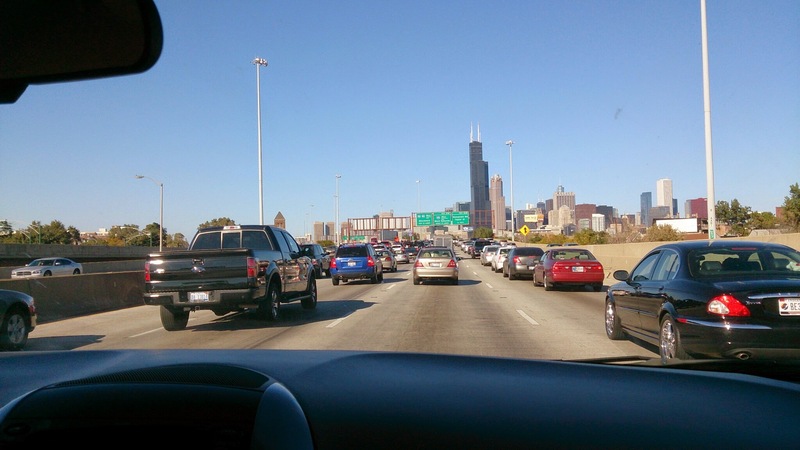 My mom said you pass Harold Washington’s gravesite and it is further down on the right. Is that the Jewish cemetery you were describing? It would be off of Cottage Grove and 71st Street. How did you find out about the tours? I would love to go. It was in such disrepair when we visited, it just broke my heart. It appears that the synagogue that chartered the cemetery merged with others several times over the years and no one is tending to the graves there. I wasn’t able to find a schedule of upcoming Oak Woods tours, but the foundation should be able to help you if you contact them. Thanks for getting back to me. I’ll be on the lookout for a tour. Who did you contact to find where graves are located? The people in the Oak Woods Cemetery office gave us maps and directions to the graves we asked about. They do not own or maintain the Jewish Cemetery however, so they wouldn’t have those burial records. 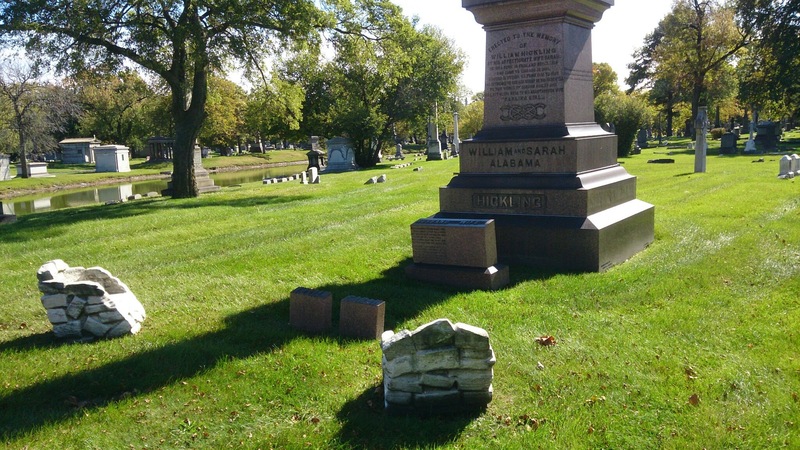 If your family was laid to rest in the Jewish Cemetery, you would need to locate those records (a challenging endeavor to be sure) or walk through the cemetery looking for their headstones. Either way, unfortunately, you have your work cut out for you. Sounds like a great time. That cemetery has to be full of history and I bet the tour only gave a glimpse at all it had to offer. Oh yes, we barely touched the tip of the iceberg. I hope to go again soon – it was a fantastic experience.